Two of the hotest Disney shows on television right now feature the same actor, but in two very different roles. 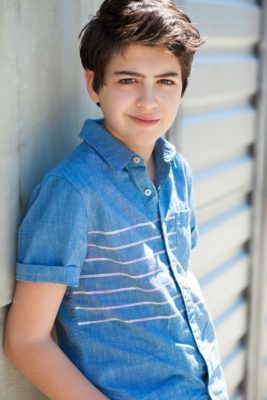 In Disney Channel’s Andi Mack, Josuha Rush portrays Cyrus, one of Andi’s two best friends. 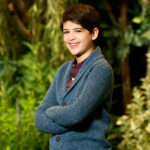 Cyrus is quirky, not athletic and a little bit awkward, but he has a sense of humor that can make just about anyone laugh. 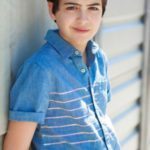 Andi Mack has been a major bright-spot on the Disney Channel roster with Season 2 coming soon. But on a different side, he also portarys Bunga on Disney Junior’s The Lion Guard. Bunga, the adopted nephew of Timon and Pumbaa is a honey badger whose role in the guard is The Bravest. Always confident, he loves his role in protecting the Pride Lands. I think my mom noticed I liked to act first. She noticed from a really young age that I loved to be in front of the camera — I was a serious ham — and she was the one who really got me my first agent and my first coach. What is it like to bring something new to such a classic franchise like The Lion King? It feels really special to be a part of The Lion Guard! I also know how special The Lion King is to so many people, so I find it really important to tread the line in between blazing a new path and keeping true to the original series. How is your approach to voice acting different from appearing on-camera? I’ve noticed that actors who do both VO and theatrical acting move around a lot more, and I’m no exception! Andi Mack is bringing a new style of storytelling to Disney Channel. What do you hope kids and families take away from the series? I think I want people to take away a real feeling of family and a sense of the values of friendship. At its heart it’s a show about friendship and family! I’m somewhere in between going into film or political science. It’s a toss-up for me! Having already left his mark in two major Disney projects, we can’t wait to see what is next from Mr. Rush. He appears to have a great knack of picking projects while remaining personally balanced. In many ways, he is Disney’s next big thing.